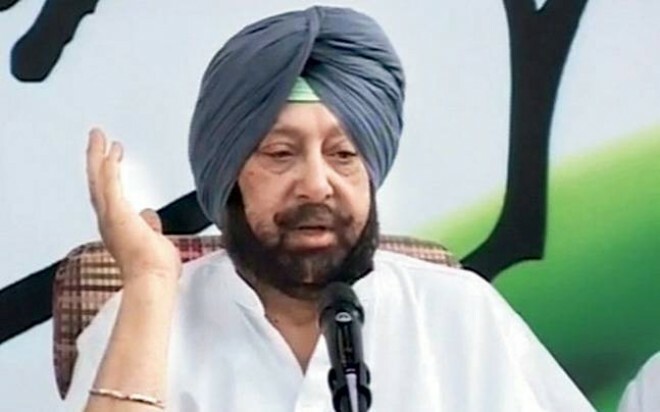 New Delhi, Feb 19: Punjab Chief Minister Amarinder Singh on Tuesday slammed Pakistan Prime Minister Imran Khan for demanding proof of his country's involvement in the Pulwama terror attack. In a tweet, Singh asked Khan about the action taken by Pakistan against the perpetrators of the 26/11 Mumbai terror attack despite being presented with proof. "Dear @ImranKhanPTI (Pakistan tehreek e insaf) you have Jaish chief Masood Azhar sitting in Bahawalpur and masterminding the attacks with ISI help. Go pick him up from there. If you can't let us know we'll do it for you," Singh tweeted. "BTW (by the way) what has been done about the proofs of Mumbai's 26/11 attack. Time to walk the talk," he said. Singh wondered if the Pakistan prime minister wanted New Delhi to send the bodies of the slain CRPF soldiers to Pakistan as "actionable intelligence". "What proof is he talking about, should we take the bodies (of soldiers) there?" said Singh in a statement. "Masood Azhar (founder of terror outfit Jaish-e-Mohammed which claimed responsibility for the attack) is in Pakistan and doing things from there, and everyone knows it," he added. Earlier in the day, in a video message to the nation, Khan responded to the Indian allegations on Pakistan's involvement in the attack in Kashmir last Thursday. The suicide attack by Pakistan-based JeM left at least 40 Central Reserve Police Force personnel dead.